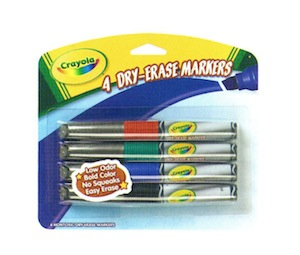 4 dry erase markers with low odor, bold colors, no squeaks and easy to erase. Designed by teachers for teachers. Chisel tipped.